Now in its tenth edition, the Oxford Handbook of Clinical Medicine continues to be the definitive pocket-friendly guide to medicine. The culmination over 25 years of experience at the bedside and in the community, this handbook is packed with practical advice, wit, and wisdom. Loved and trusted by generations of doctors, it continues to be an indispensable companion for the practice of modern medicine. A clinical placement abroad is a unique and eye-opening experience for any young medic. Away from the organised bustle of the hospital wards and state-of-the art lab equipment, they must learn to overcome cultural, linguistic, and environmental barriers in order to deliver exceptional care to those in need. In June, our 2017 Clinical Placement Competition came to a close. In partnership with Projects Abroad, we offered one lucky medical student the chance to practice their skills, with £2,000 towards a clinical placement in a country of their choice. The refugee crisis isn’t an unknown phenomenon to those of us in the United Kingdom; it is the largest single migration in the European continent since World War II and has most recently been used as a political chip in elections across the continent. It is an event that has caused strain and division, but also compassion and unity. It has caused us all to hold the spot light on our presumed shared values, and been the source of many debates and discussions. The topic, in some people’s eyes, is controversial to say the least. For myself? Once I saw the images of people arriving on the shore of Lesvos with volunteers dragging them out of the waves, it was all pretty clear cut: people need help, we have the resources to help, and our privilege prescribed the duty upon us to help. Thus, the process to organise a volunteer trip to Lesvos with a friend who is also a junior doctor begun, and as one can imagine, having our schedules line up was a long arduous process. After six months we managed to set a date, find what we hoped would be the best NGO, and book tickets to the island. 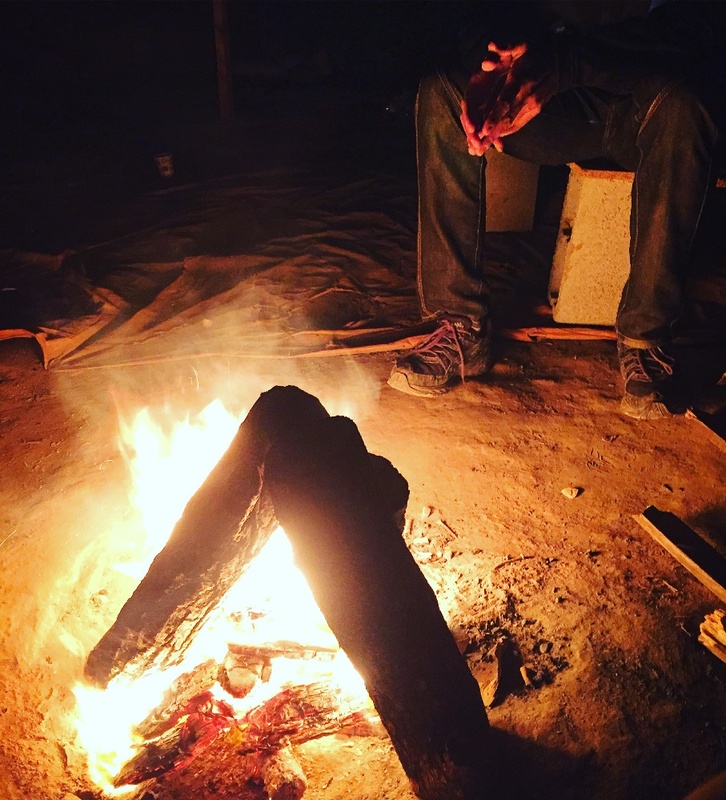 Late night campfire. Image provided by the author and used with permission. Two days later, breaking news told us of the EU-Turkey deal, with Moria Refugee Camp becoming a detention centre and all volunteers being kicked out and unable to deliver any aid (including basics such as food and drink). Large NGOs such as MSF, who had been the chief provider of medical care pulled out in protest, controversially leaving those imprisoned in the camp with no access to medical care, with only the military providing provisions. We were left to re-evaluate our journey and after some frantic searching, we found a start-up NGO named Team Humanity, whom we felt would utilise our skills the best, delivering aid to the make-shift refugee settlement at the Greece/Macedonia boarder in Idomeni. Finally, we embarked on our two-week volunteer trip to Thessaloniki (the nearest city to the camp) and continued onto Polikastro, a tiny village where most volunteers stayed, a 20-minute drive from the camp. Our first arrival into what we termed the ‘Idomeni village’ was at midnight and Salam – the founder of Team Humanity – gave us a whirlwind tour of the NGO tents, including the regional ethnic divides and residents, and briefed us on the rulings and systems in the camp. 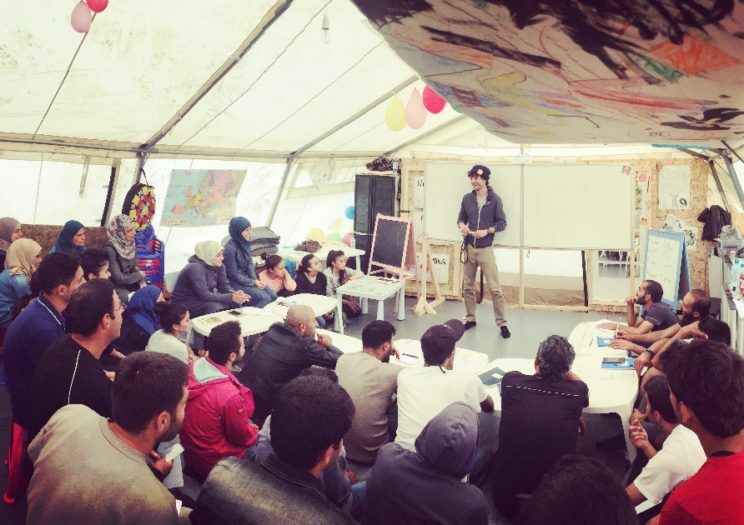 We very quickly realised we’d made the right choice of NGO when we found our team sat amid the refugees around the camp fire, seated along the trenching dug out by Salam himself. Our team at the time of our arrival happened to be predominantly made of first and second generation immigrant nationalities from all over Europe, the Middle-East, and Americas; half of whom had once been refugees as children. For such volunteers, the crisis was beyond merely an upsetting state of affairs – it was personal. Such a demographic helped facilitate the unique workload our NGO took on in the camp. Idomeni was informally segregated into alphabetical quadrants to try and ensure people in each region had equitable access to resources. Each day, our NGO provided food packs, clothing, sanitary products, and necessary products such as tents or prams. 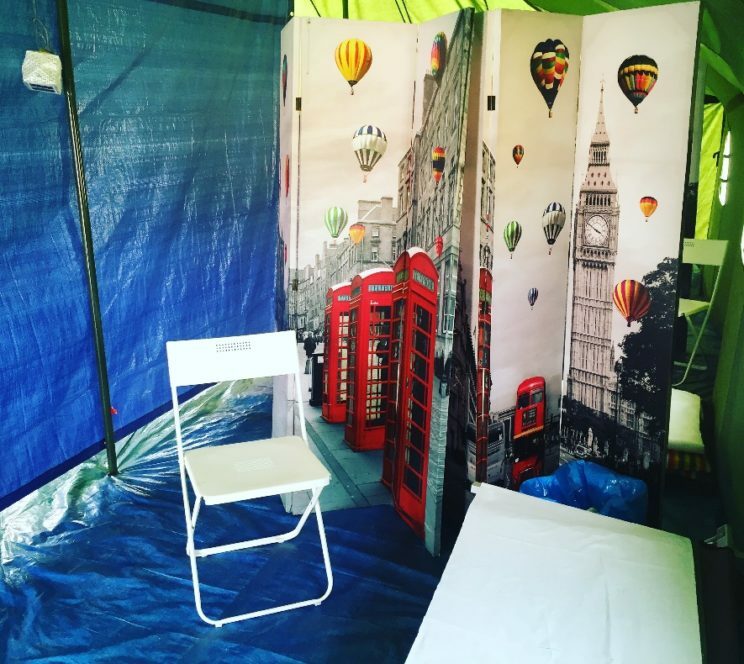 Additionally, we also had a medical tent that provided general practitioner services and a space for children’s activities and sports. It was, however, our team members’ bilingual abilities (an ability that was rather rare amidst volunteers) that quickly lent us to becoming a facilitator between the UN and the refugees at the camp. Thus, we found ourselves at the forefront of a number of emergency situations, especially out of hours, ranging from de-escalating moments of raised tensions to rectifying the consequences of overnight high winds and lengthy downpours on hundreds of people’s shelters. Though rewarding, it was not our daily activities that stuck with me the most; it was the moments in between, where all I had to offer was a holding hand or a listening ear. A night like the one where, after distribution, a family of three refused to let us leave before they had the opportunity to thank us with some freshly brewed Arabic coffee. They wrapped us in their blankets, refusing to also get under them until they were satisfied that we were thoroughly warmed, and told us stories of their home and the trying journey they had thus far. They showed us pictures of loved ones lost, and family left behind. My Arabic skills were rather patchy and so I garnered roughly 40% of the conversation, and I could sense that they understood that we couldn’t follow them all the way, but upon leaving at 1 am, we were hugged so tightly and thanked so gratefully, with tearful eyes, that it seemed like we’d given the family the world – merely because we stopped and listened. Afternoon Dabke session. Image by the author and used with permission. Idomeni’s Lyricist, who’s gone on to write for the Guardian. Image by the author and used with permission. Our medical clinic. Image by the author and used with permission. The adult English class in EKO. Image by the author and used with permission. Our makeshift Church. Image by the author and used with permission. Salad for 2000 EKO Kitchen. Image by the author and used with permission. Don’t get me wrong, some of the fondest memories I hold to date are the achievements from our team’s projects which gave moments of solace to those at the camp: from the makeshift mosque and church, to the cinema and volleyball court. 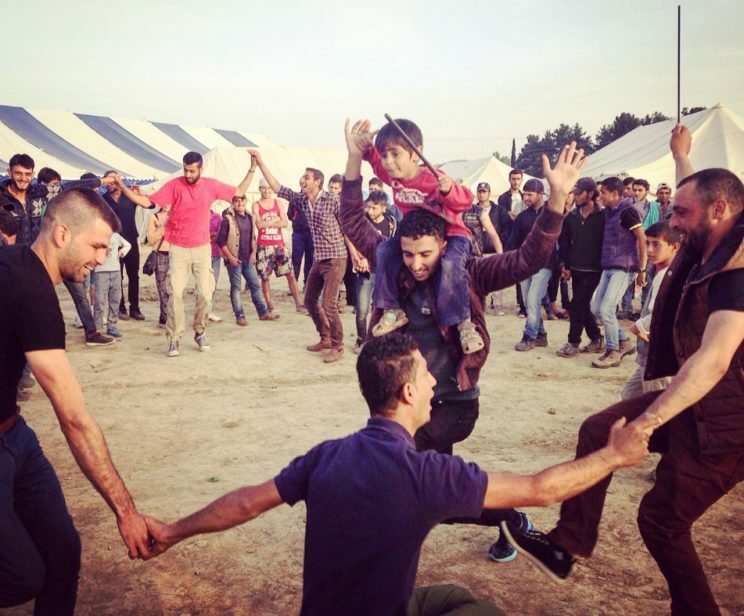 But the moments that give you the everlasting ‘feels’, even over a year after you’ve experienced them, include the highs during a Dabke and Ataan dance off (Arabic and Afghani traditional dances), or the devastating lows where you spend a morning crying with your dear friend who found out that two of his little nieces were captured by ISIS. “My favorite thing about pursuing a career in medicine: We get to have a front row seat into humanity, and are gifted the duty of always aiming to see the good in others, and provide care without bias or judgement.” -Roxanne Tajbakhsh. Image by the author and used with permission. In our short two weeks we witnessed a birth, a wedding, and a funeral. The caption from my competition photo was a privilege I perceived healthcare professionals to have, but it was one I got to truly experience at the camps. Since then, I’ve had many such experiences when working through my speciality rotations. 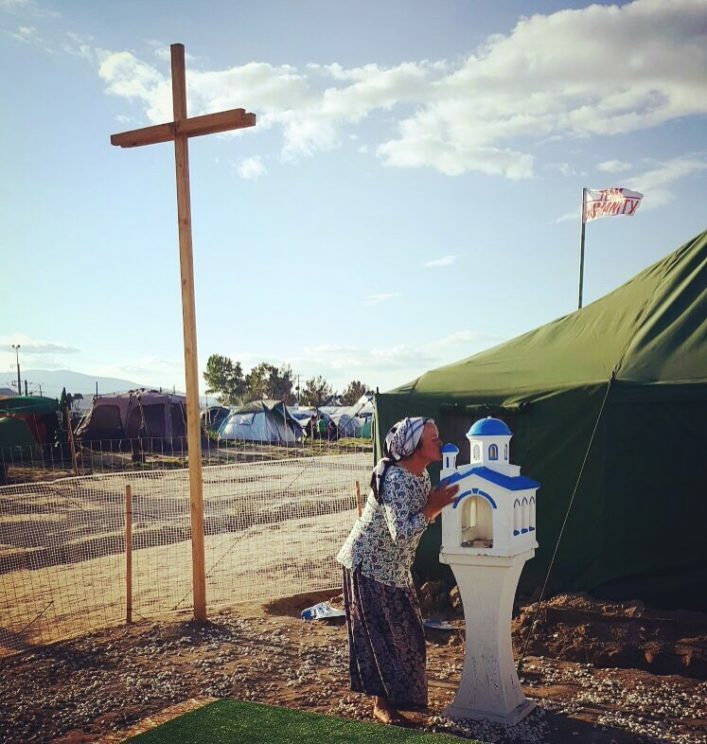 Yet, for me, Idomeni will forever serve as my starting point. 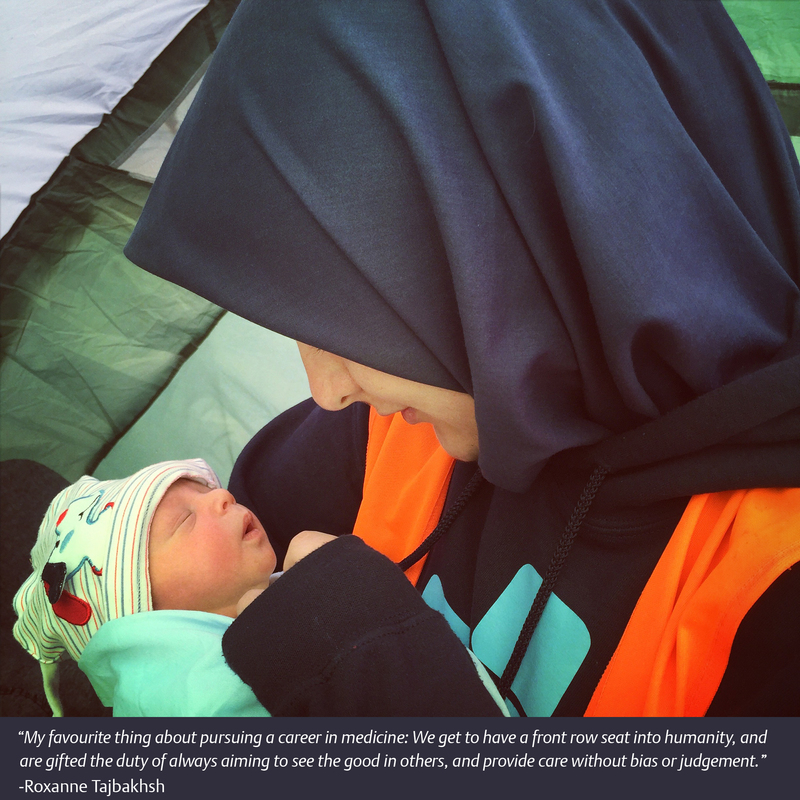 Coming from a family of engineers, I was only truly introduced to a career in medicine through a desire to carry out humanitarian work, and my time at the camps proved that I’d made the right choice. After leaving I only managed another week in England before I once again went back to the camps. 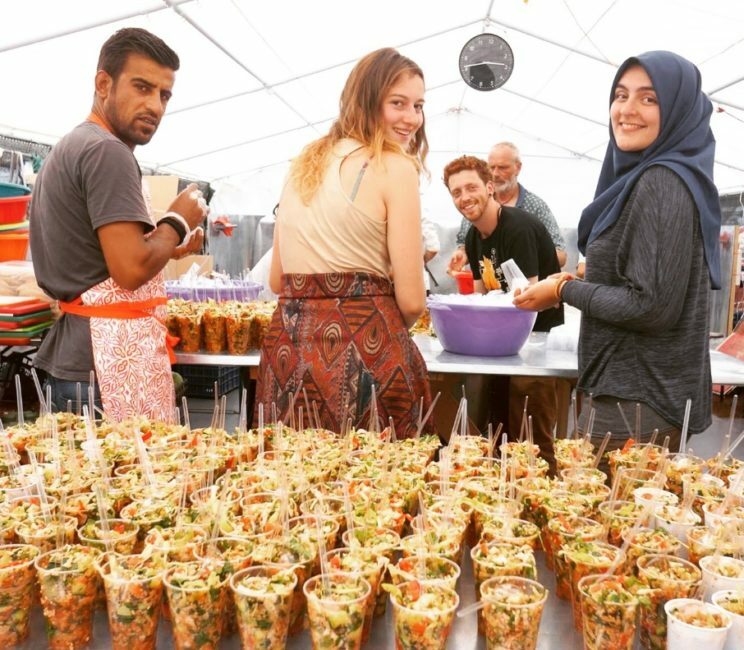 Later that summer, I managed to fulfil our original plans and volunteer in Moria Refugee Camp in Lesvos for a month—an experience which was a world away from that of Idomeni. Both introduced me some of the most incredible people from all walks of life who were drawn to this single molten pot of nationalities – beyond borders – joined by the belief that the duty of aid to fellow human beings surpasses all races, religions, and granted nationalities. My time there changed who I was in a lot of ways, but it did not change my appreciation for my profession – it fuelled it. 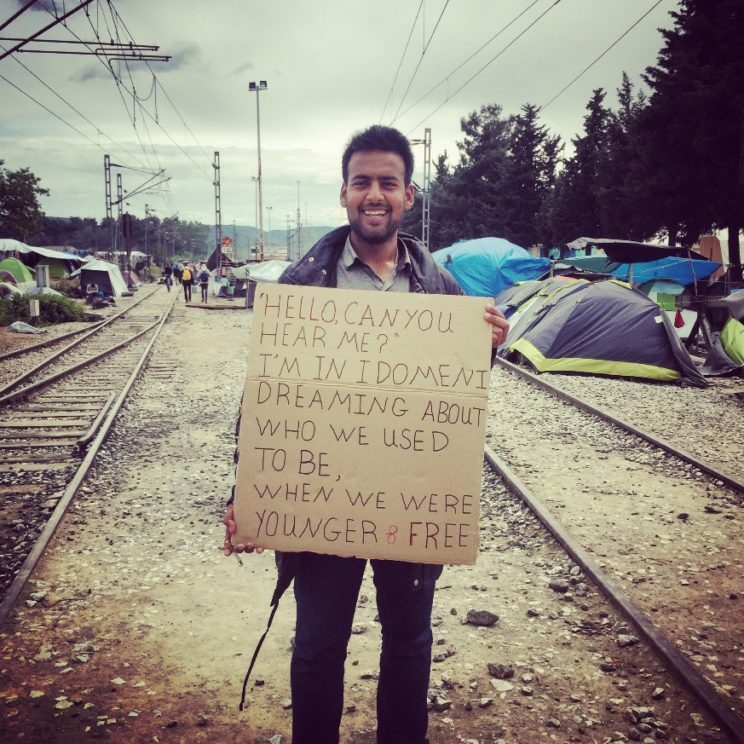 In the future, I hope to carry on my work with refugees and migrants as thousands, many of whom I worked with, are still stuck in limbo in camps throughout Europe. Unfortunately, with the exponential increase in manmade and natural disasters globally, the situation is only set to become worse. The dream a long way down the line would be to pair this passion with my interest in critical care and disaster medicine. Thus, I am hoping to utilise the prize from Oxford University Press and Projects Abroad to carry out a placement in the Caribbean, a region of the world I have yet to experience, to further my clinical knowledge and cultural appreciations. If there’s one notion I could leave you with after reading about my experience it would be this: find a cause you’re passionate about, research the methods in which you can help make an impact, and do it. There is more to life than your next promotional exam. Nothing will build you more as a person, or a healthcare professional, than the connections you make with others. Featured image credit: The camps first game of volleyball. Photo by the author and used with permission. Roxanne Tajbakhsh is a final year medical student at the University of Leeds, and the winner of the 2017 Clinical Placement Competition.